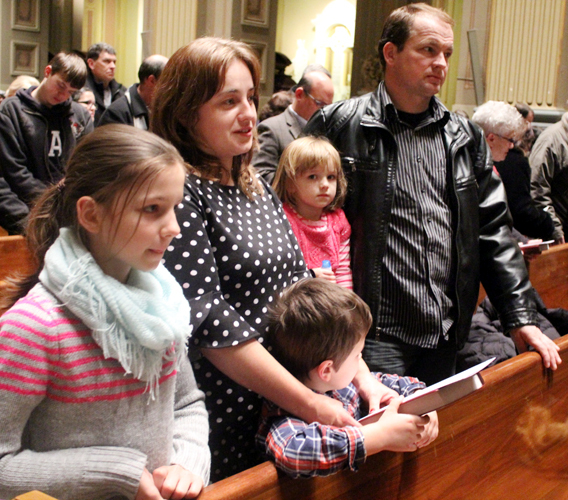 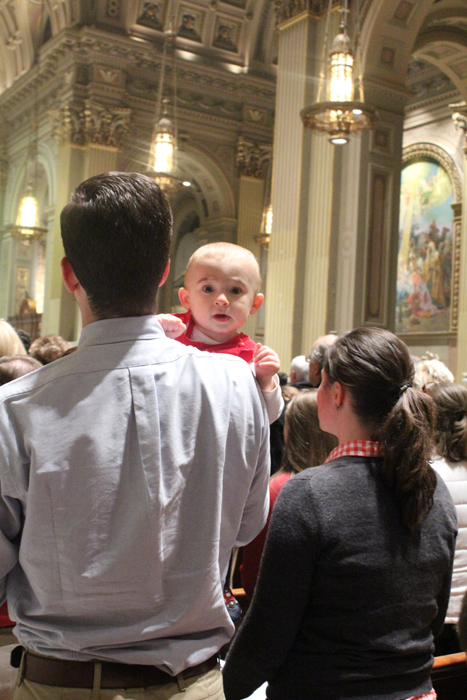 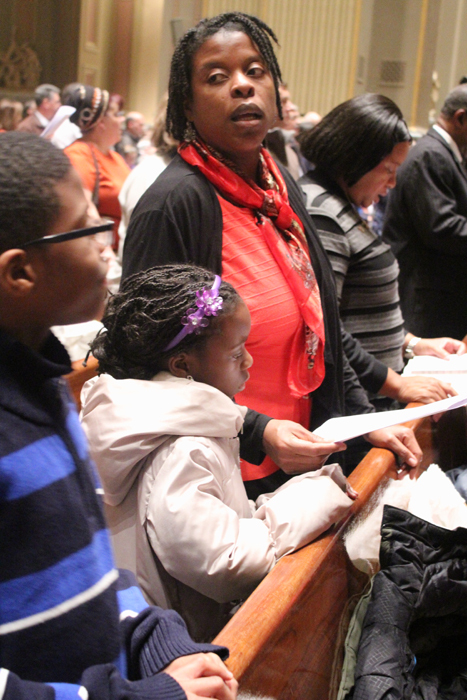 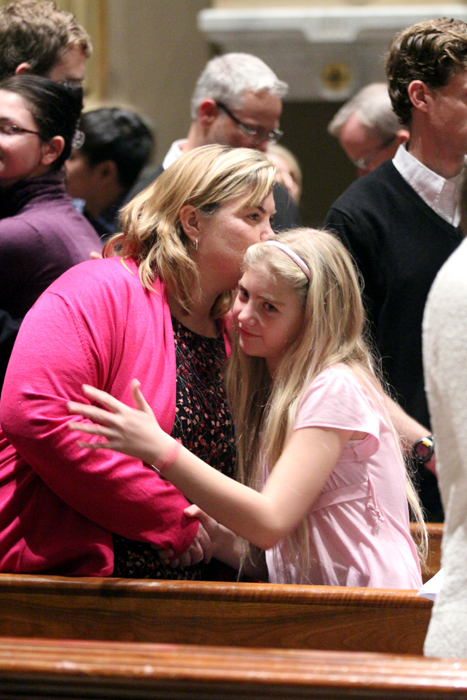 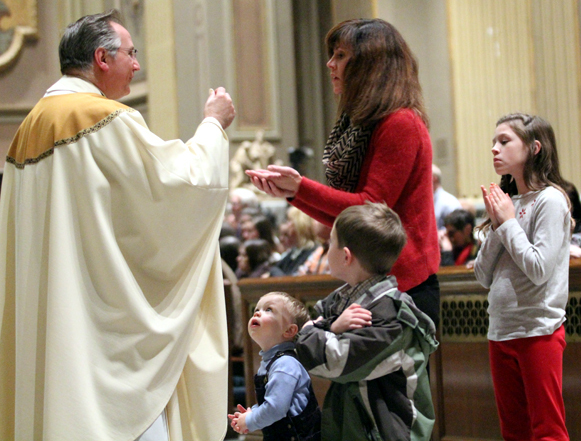 About 1,000 people including mostly families gathered Sunday, Nov. 30 at the Cathedral Basilica of SS. 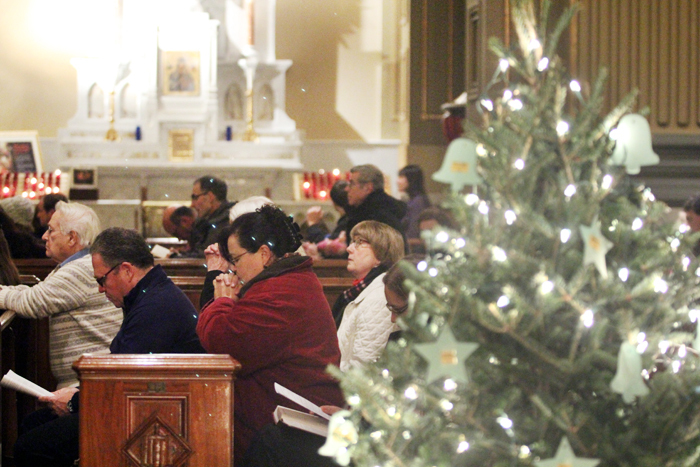 Peter and Paul in Philadelphia for a holy hour followed by 6:30 p.m. Mass celebrated by Archbishop Charles Chaput. 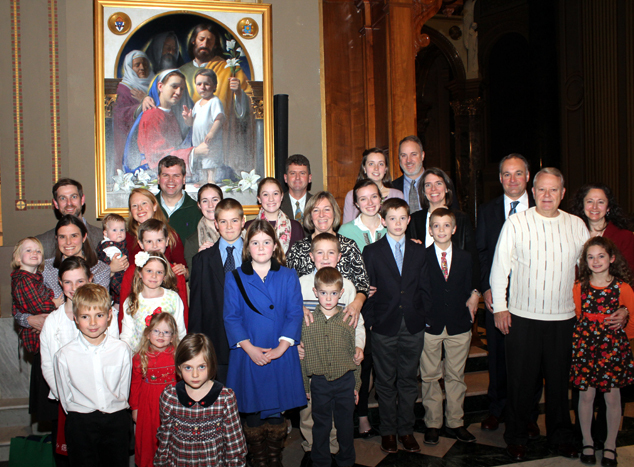 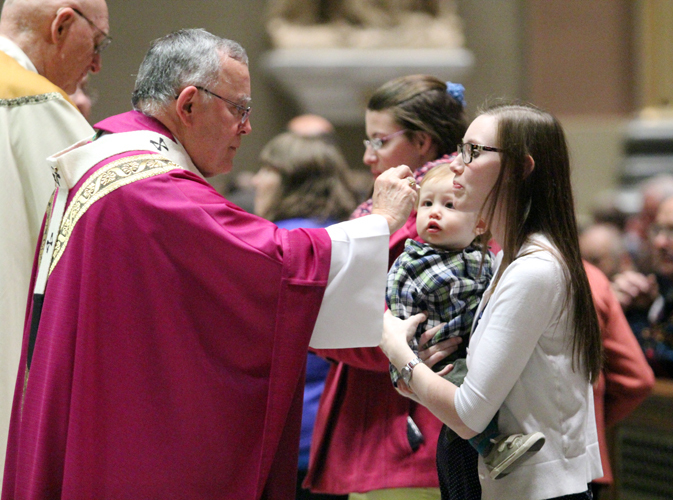 It was not only the first Sunday of Advent but also an event where worshipers received an image of the Holy Family, a replica of the official icon for the 2015 World Meeting of Families in Philadelphia. 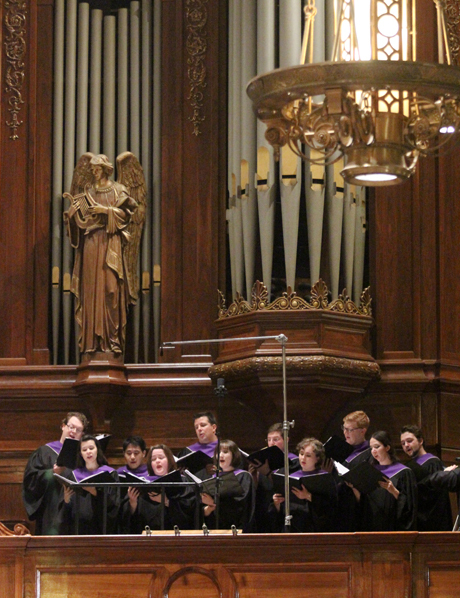 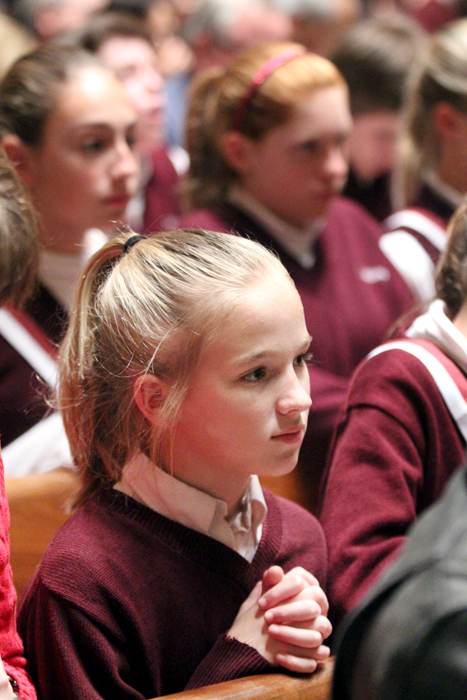 They also heard for the first time the official hymn for the gathering, “Sound the Bell of Holy Freedom,” performed by members of the Cathedral Choir. 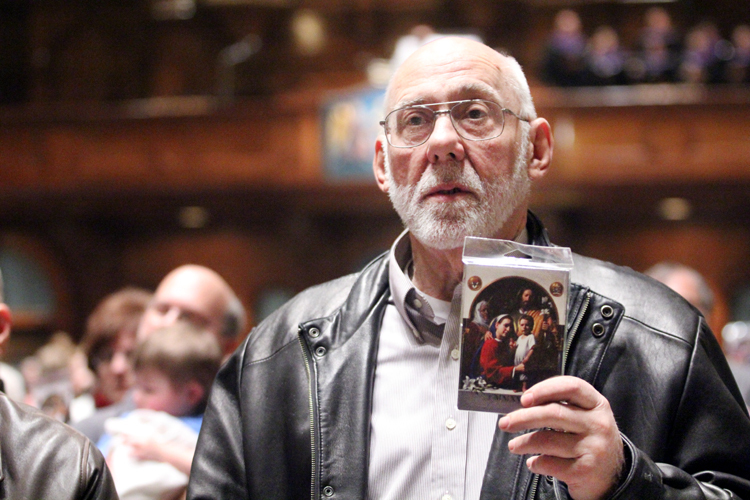 Al Urban of Mother of Divine Providence Parish in King of Prussia holds up his replica of the World Meeting of Families icon as it is blessed by Archbishop Chaput Nov. 30 at the cathedral.